With this offer, eligible Discover cardholders can receive a $10 discount off a purchase of $30 or more at Kohl’s. However, the deal is actually even better because the $30 minimum spend requirement is not enforced. This means that this offer allows you to purchase any item $10 or less for free. Starting September 16, through the end of the year, Discover cardmembers using Apple Pay will automatically earn an extra 10% Cashback Bonus on up to $10,000 of in-store purchases. Discover it Miles, Miles and Escape cardmembers will earn an extra 10 miles per dollar on up to $10,000 of in-store purchases. Looking for an extra shot of adrenaline? Six Flags Theme Parks just announced the addition of three roller coasters, eight thrill rides, two dark rides and two water attractions across the amusement park chain’s 13 locations. At the same time, it also announced its second annual Labor Day flash sale, offering savings of up to 65% off 2016 Passes when you purchase by September 7, 2015. When you buy your 2016 Passes now, you’ll also get free upgrades to Gold level, free water park season passes, free visits for the rest of 2015, free drinks all season as well as discounts on merchandise. Discover cardholders can save even more by first signing up for a 5% cashback bonus on Six Flags purchases through this link. Have a Discover it card but haven’t gotten around to signing up for the Double Cash Back promotion? Unfortunately, it appears that Discover has silently ended the enrollment period for existing cardmembers. As of today, the promotion, which doubles all of the cash back that you earn with the card for one year–including cash back earned on 5% category spend and Discover Deals–is now available to new cardholders only. 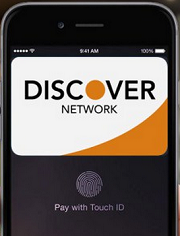 Since you can have two different Discover accounts–provided you have had the first account for at least a year–if you already have one Discover it card, it is possible to apply for a new card with the promotion on it, but it no longer appears to be possible to add the promotion to an existing card. It’s a shame for those who missed out, especially for those who were looking to double dip on Discover it’s 5% categories next quarter, which include home improvement stores, department stores and Amazon.com. Today, Discover announced that it was introducing a new safety feature they call Freeze It. The new, free feature acts like an on/off switch to block new transactions, so users can deactivate their cards if they have temporarily misplaced their card. Over the past couple of years, Discover has simplified its product line, discontinuing several cards and rather single-mindedly promoting its general purpose Discover it cash rebate card. Now, it appears that Discover has decided that it is the right time to introduce a new card to the competitive travel market. The new Discover it Miles card earns an unlimited 1.5 miles on all purchases, which in itself is nothing special. What makes the card potentially attractive is that for the first year, all of your earned miles will be doubled, meaning that you’ll earn 3 miles per dollar on all your purchases.